For Carlo Ventre the 2010/11 season promises to be a many debuts. It began with Radames in Aida at the San Francisco Opera (November/December 2010), a role that also marks his debut at the Royal Opera House Covent Garden in London (March/April 2011). A further event in the artist’s operatic schedule is represented by his debut at one of the most prestigious European opera houses, namely the Opéra Bastille Paris, singing Mario Cavaradossi in Tosca (April/May 2011). 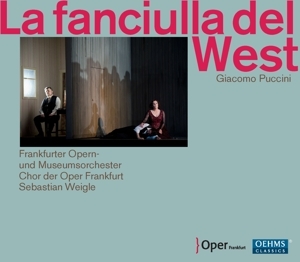 This season has already seen him on stage as Federico Loewe in Franchetti’s Germania at the Deutsche Oper in Berlin (January/ February 2011) and as Calaf in Turandot at the San Diego Opera (January/February 2011). He will be again Radames on other three occasions during 2011– at the Bayerische Staatsoper in Munich in June , at the Festival de Chorégies d’Oranges (where he makes his debut) and at the Arena di Verona the following month, July, then again Cavaradossi in a new production at the Oper Leipzig , in October . By the end of the year, he will then make his debut in an role which has always been one of the most coveted and at the same time fearful throughout opera history : Verdi’s Otello, to whom Carlo Ventre will give life in December at the Oper Frankfurt.